Rose gold ain’t over yet, ladies! The combination of sparkles and geometric accents here is all kinds of gorgeous. 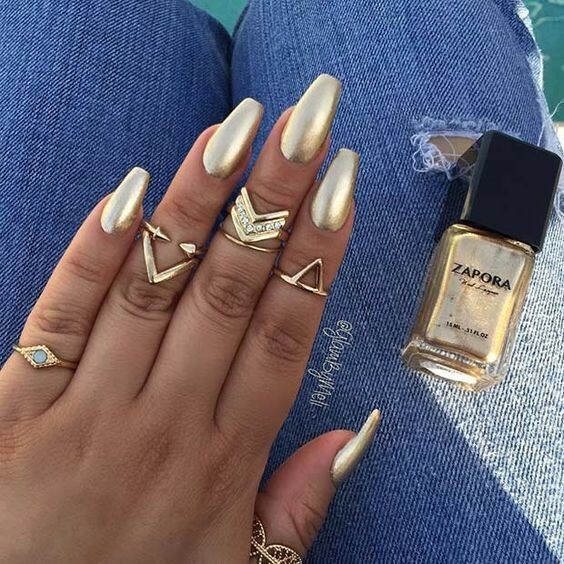 We’re pretty sure if Cleopatra did her nails done for New Year’s, they’d look like this. Not one for sparkle? Try something just as pretty with this smooth grey to white ombré style. 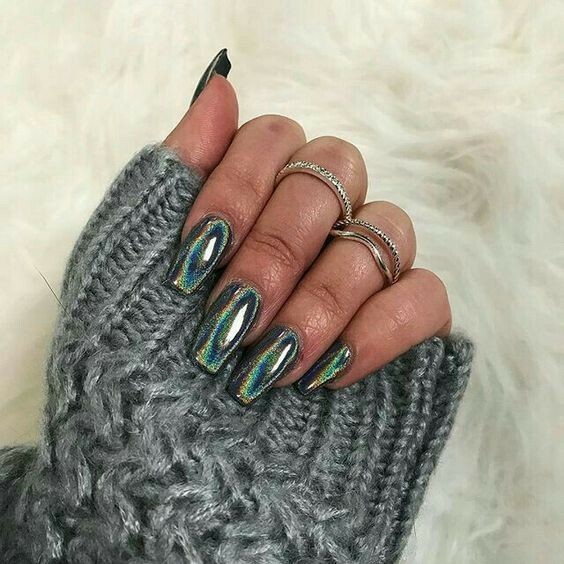 The holographic nail art trend is still going strong –– and this shade will pair perfectly with that little sparkly dress you’ve been waiting to break out on NYE. Everyone knows that your New Year’s Eve outfit sets the tone for the year to come. Naturally. (Or maybe you’re the staying in type, in which case, no shame in those comfy fleece PJs.) 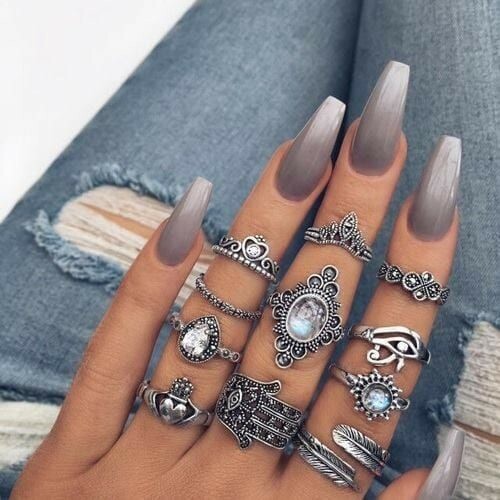 But what about your nails? 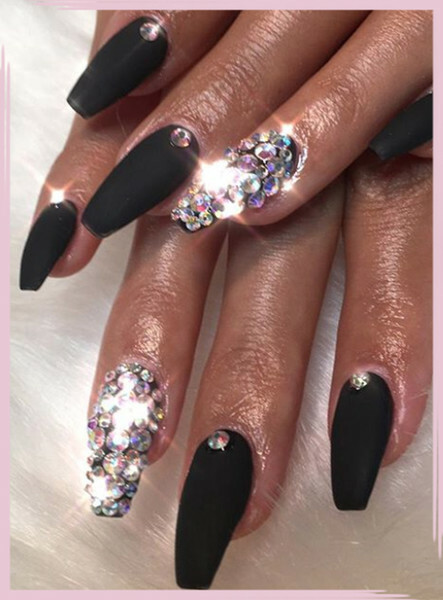 Whether you opt for colorful and standout coffin nails or a neutral stiletto shape with a super sparkly accent, there are endless manicure options on hand for NYE (see what we did there?) that will help elevate your outfit. Coordinate with your outfit –– or don’t! 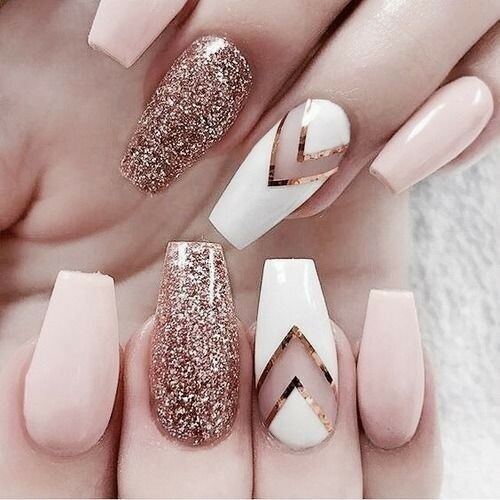 Either way, you’ll want to click ahead for the following list of NYE nail art ideas to ring in 2018. Shine on, you crazy diamond.